or combined with our separate Dog Walking Contract if dog walking forms part of the service provided. Provision is made for a total amount in our template. Once the Owner's Information sheet and Pet Information sheet have been completed, the Sitter can calculate the cost and enter that amount in the contract. Home owners must check references supplied by the pet sitter before allowing access to their homes to someone who may be a complete stranger. Pet owners should ask pet sitters for proof of a business license (where it is a requirement) as well as proof of dog liability insurance. 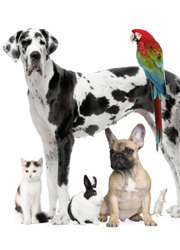 Whereas the Owner wishes to engage the Sitter and the Sitter agrees to undertake the services under the terms and provisions defined in this Pet Sitting Contract as well as the Owner's Information sheet, Pet Information sheet(s) and the Veterinary Release Form which shall all become part of this Contract. Any reference to pets in this contract shall refer to those specified on the Pet Information sheet(s). It is expressly understood that the Owner retains the services of the Sitter as an Independent Contractor and not as an employee. The Sitter shall be responsible for his/her insurance and all statutory declarations and payments with regard to income tax and VAT where applicable. The Sitter undertakes to perform the agreed-on services in an attentive, reliable and caring manner and the Owner undertakes to provide all necessary information to assist in this performance. 2.1. The Sitter shall be paid the amount of $______(_________________dollars) and no deductions shall be made for late departure or early return of the Owner. 2.2. Additional fees may include the purchase of necessary items for the care of the pet(s), including but not limited to pet food, litter or cleaning supplies, transportation, unexpected visits and emergency expenses for health care. The Sitter shall retain and submit receipts as proof of additional expenses. 2.3. The amount of $_____(________________dollars) shall be payable in advance and payment of the balance effected within 3 days of receipt of the account for the outstanding balance. 3.1. This Pet Sitting Contract shall come into effect on the ____ day of ____________________20____ and shall terminate on the _____day of _____________________20____. 3.2. The term of this Pet Sitting Contract may be extended if requested by the Owner and so accepted by the Sitter. 3.3. The onus shall be on the Owner to confirm his/her return and his/her availability to resume care of the property and pet(s) prior to or on the last day of this contract term failing which the Sitter may perform additional visits in the interest of the pet(s). 3.4. Any additional visits or duties shall be calculated at $________ (__________________dollars) per day or $______ (______________dollars) per visit. 4.1. Either party may terminate this Pet Sitting Contract a minimum of 72 (seventy two) hours prior to the first scheduled visit without incurring penalties or damages. 4.2. Failure by the Owner to cancel by giving the minimum notice required or any cancellation during recognized holiday periods will result in a 30% cancellation fee of the total amount due, unless such cancellation is caused by severe weather, death in the family or a medical emergency. 4.3. Where the Sitter as sole proprietor needs to cancel later than 72 hours prior to the Owner's departure due to unforeseen circumstances, he/she may appoint a substitute with the written approval of the Owner and any difference in the fees charged shall be for the account of the Sitter. 4.4.2. Place the pet into a kennel or animal care facility at the Owner's expense if the Guardian is unable or unwilling to assume responsibility for the pet. 4.4.3. In either event as described in 4.4.1. and 4.4.2. above, this contract shall be deemed terminated unless the Sitter agrees to continue with other home caring duties and/or caring for other listed pets at no reduction in compensation. 4.5. Any wrongful or misleading information in the Owner's Information or Pet Information sheets may constitute a breach of terms of this Pet Sitting Contract and be grounds for instant termination thereof. 4.6. Termination under the circumstances described in 4.4 or 4.5 above shall not entitle the Owner to any refunds nor relief of any outstanding payments due. 5.1. The Sitter will carry liability insurance relative to the services performed for the Owner. A copy of the insurance policy has been made available to the Owner and the Owner acknowledges that he/she is familiar with its content. 5.2. The Sitter accepts no liability for any breach of security or loss of or damage to the Owner's property if any other person has access to the property during the term of this agreement. 5.3. The Sitter shall not be liable for any mishap of whatsoever nature which may befall a pet or caused by a pet who has unsupervised access to the outdoors. 5.4. The Owner shall be liable for all medical expenses and damages resulting from an injury to the Sitter caused by the pet as well as damage to the Owner's property. 5.5. The Sitter is released from all liability related to transporting pet(s) to and from any veterinary clinic or kennel, the medical treatment of the pet(s) and the expense thereof. The parties agree to indemnify and hold harmless each other as well as respective employees, successors and assigns from any and all claims arising from either party's willful or negligent conduct. The Sitter warrants to keep safe and confidential all keys, remote control entry devices, access codes and personal information of the Owner and to return same to the Owner at the end of the contract period or immediately on demand. No relaxation, indulgence, waiver or release by any party of any of the rights in terms of this Pet Sitting Contract on one occasion shall prevent the subsequent enforcement of such rights and shall not be deemed to be a waiver of any subsequent breach of any of the terms. This Pet Sitting Contract and Owner's Information sheet, Pet Information sheet(s) and the Veterinary Release Form attached constitute the sole and entire agreement between the parties with regard to the subject matter hereof and the parties waive the right to rely on any alleged expressed or implied provision not contained therein. Any alteration to this agreement must be in writing and signed by both parties. No party may assign any of its rights or delegate or assign any of its obligations in terms of this Pet Sitting Contract without the prior written consent of the other party, except if inclement weather or a bona fide emergency prohibits the Sitter from fulfilling his/her duties in which event the pet's Guardian may be called upon to care for the pet(s). The terms of this Contract shall be binding upon and accrue to the benefit and be enforceable by either party's successors, legal representatives and assigns. This Pet Sitting Contract and Agreement shall be construed, interpreted and governed in accordance with the laws of the State of ___________ and should any provision of this Contract be judged by an appropriate court as invalid, it shall not affect any of the remaining provisions whatsoever. The parties agree that any or all parts of this agreement may be submitted to the other party in legible and recordable electronic form and upon acknowledgement of receipt by the receiving party shall become valid parts of the agreement. Paragraph headings are for convenience of reference only and are not intended to have any effect in the interpretation or determining of rights or obligations under this agreement. Signed at __________________ on this _____day of ___________________20____ by the Owner who warrants his/her authority to enter into this agreement. Signed at __________________ on this _____day of ___________________20____ by the Sitter who warrants his/her authority to enter into this agreement. 3.5. All the terms and conditions contained in this agreement shall be in full force and effect should the Owner wish to retain the services of the Pet Sitter for any other time periods not specified herein and shall constitute a valid authorization and agreement upon a telephonic or electronic reservation by the Owner. The pet's Guardian refers to a neighbor, friend or family member of the Owner who has access to the property as nominated by the owner. 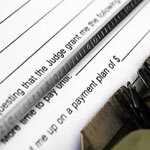 Maintaining the status of an Independent Contractor. Our free legal forms and free contract templates are intended for informational purposes only and to assist you in streamlining your requirements prior to briefing your attorney. You must consult with an attorney in your jurisdiction to ensure your legal documents are comprehensive and fulfill your legal requirements.